I am delighted to announce that the Laramie Boomerang is Drawn to the West's newest outlet. The column will run in the print editions of the newspaper ever other week, starting with the article that ran this Saturday, April 18th. 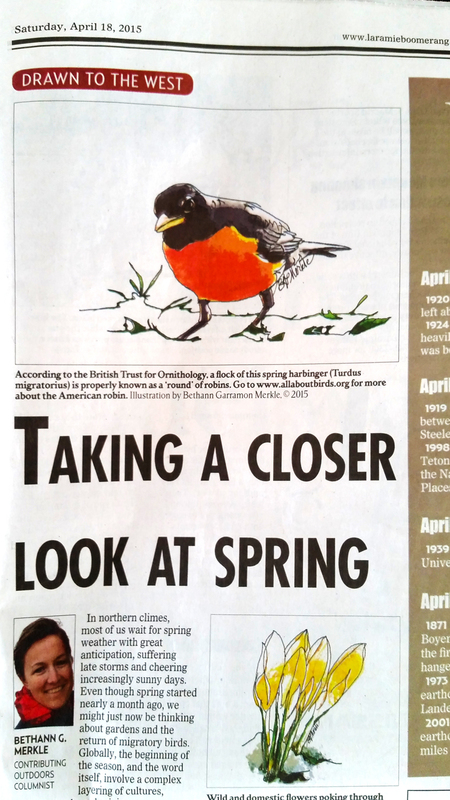 On that note, this week's column focuses on spring - global traditions, harbingers, and how to track local phenology (definition). Despite a big storm that has dumped snow in my area since Wednesday, spring is in full swing. 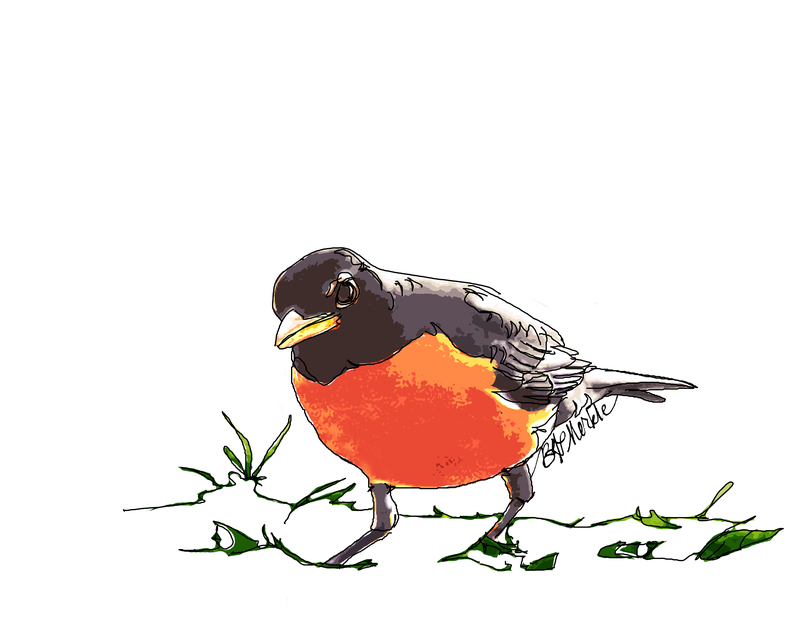 As you can see by some of the sketches I've made in my backyard garden, rhubarb is sprouting, robins are back, and for the most part, the sun has been shining. In the syndicated column, I've highlighted the etymological origins of spring, explored a few international cultural traditions, and focused on how much fun and scientific value there can be in each of us tracking local signs of spring. "Locally, our recognition of spring corresponds with phenology, the study of cyclical natural changes based on seasonal temperature and weather. The word is based on phenomenon, from Latin and Greek words meaning ‘to show’ or ‘to appear.’ These life cycle events herald the end of winter and the beginning of the growing season. " "And don't discount the difference your backyard observations can make. [...] As a recent article from the University of Washington indicates, volunteer science efforts like this are worth at least $2.5 billion annually, span the globe, and make robust long-term data sets available for biodiversity research in unprecedented ways." The following links lead to bonus material - some of the content I read while preparing the article, as well as a few items just for fun. Etymology Online explains the history of the word spring. I love this website for the depth of interpretation it offers for nearly every word I've ever wondered about. Citizen Science projects/websites: Check out CitizenScience Central, a citizen science project clearing house that connects you to projects in categories such as mammals, birds, weather and astronomy. 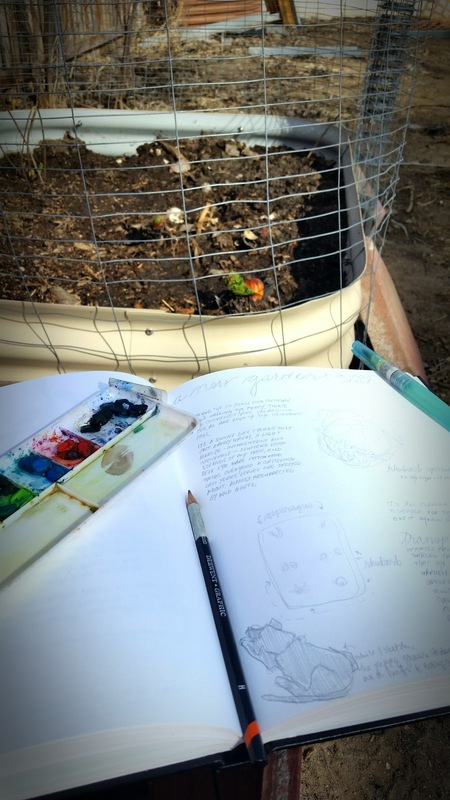 Project BudBurst, Nature's Notebook, and SciStarter.com also offer portals and apps for tracking things like plant phenology and a host of other natural phenomena. 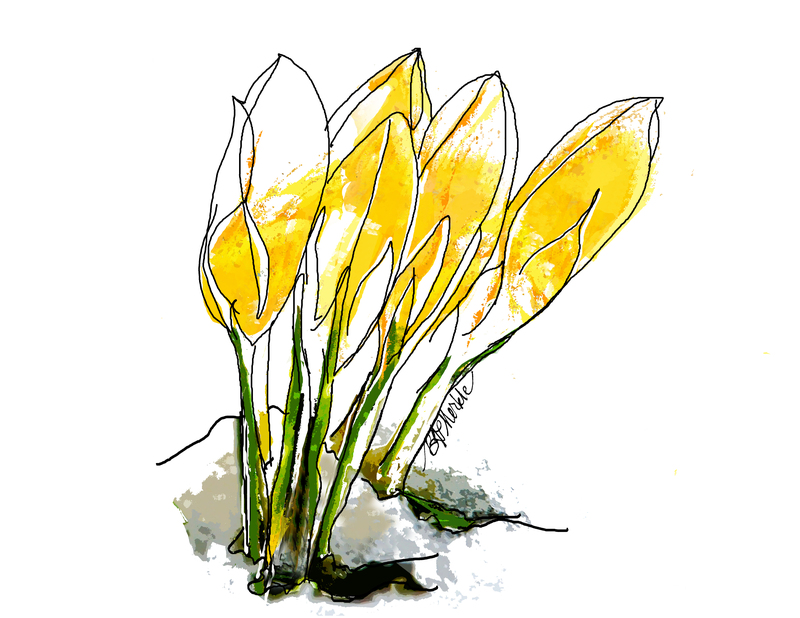 Keeping track of spring with a nature journal: I offer a lot of sketching and journal keeping resources on my main website, www.commnatural.com. 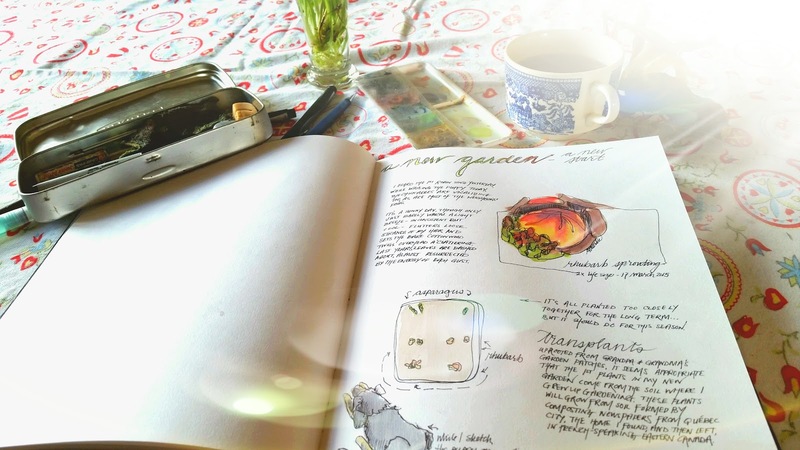 Here are a handful of other interesting resources and ideas for keeping your own nature journal - lots of articles from naturalist Donna Long; keeping a nature journal with children; journal enthusiast and bird artist John Muir Laws offers tutorials and free video workshops, and this Wiki.how article offers practical tips for getting started.